Keeping your vessel in great shape is easier to do when you have an easy way to purchase the Allison marine parts your engine will need. Allison marine engines are found in a wide range of vessels around the world, and these are engines that are well-known for power, performance and reliability. However, even the most well-made machines will require maintenance work from time to time. 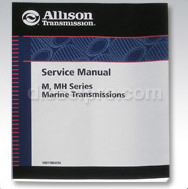 Depending on your engine's specific needs, you may need to purchase a couple of Allison M marine gear parts today, or you may need to purchase a complete overhaul kit. 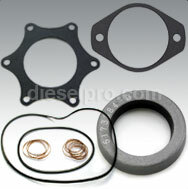 You can find everything you need without hassle or stress when you shop online with Diesel Pro Power. 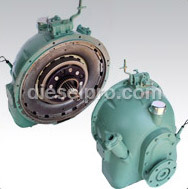 Diesel Pro Power, we understand that we are not your only choice when buying Allison marine parts, but we are committed to the goal of being your best option. We are the world's largest online distributor of replacement parts that are always in stock and ready to ship to our valued customers around the world without delay. In fact, we have a 24-hour processing time on shipments. You can easily select the parts you need for your marine engine today, such as couplings and bolts. While we carry all of the Allison M marine gear parts that you will need, we also carry parts for a wide range of other engine types. 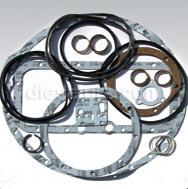 You will be surprised at how quickly and easily you can find the parts you need when you shop online with us. After just a few minutes of your time, you can sit back and relax with the knowledge that your order is being processed and will soon be on its way to you. You simply cannot keep your engine in great shape without replacing a few components from time to time, and you can always find the parts you need for engine maintenance and repair tasks with ease through Diesel Pro Power.